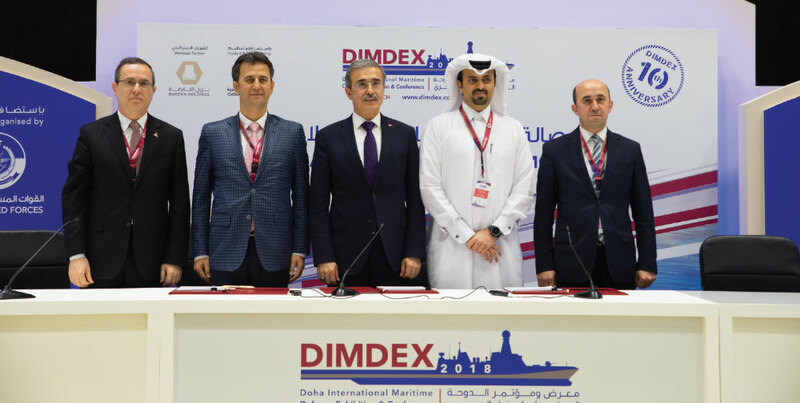 The sixth International Maritime Defense Exhibition & Conference (DIMDEX 2018) was held on 12-14 March 2018 in Doha/Qatar under the auspices of Sheikh Tamim bin Hamad Al-Thani, Emir of the State of Qatar and hosted by Qatar Armed Forces. Over sixty countries from Europe, America, the Far East and the Gulf Region participated in the Fair. 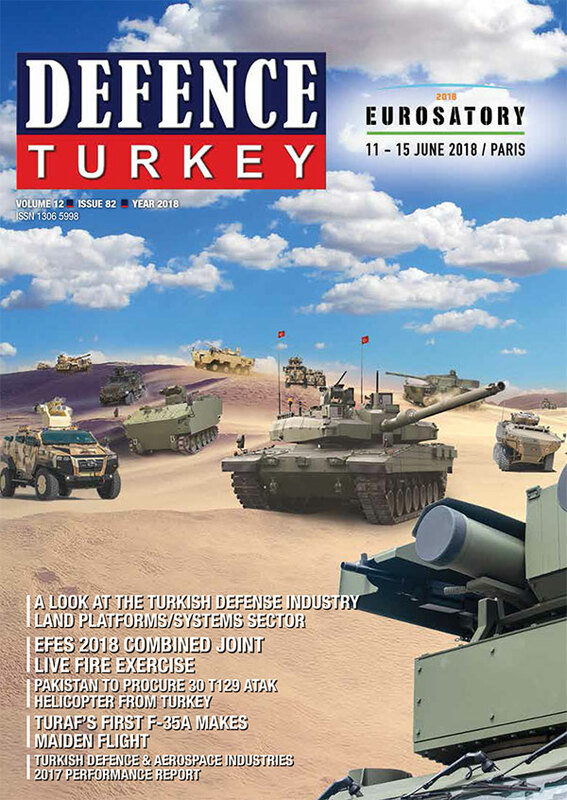 Turkey participated nationally in the fair with thirty-three companies with the Defense and Aerospace Industry Exporters’ Association under the coordination of the Undersecretariat for Defense Industries (SSM). UNIFO, Garanti Giyim, Transvaro, Dearsan, TÜBİTAK-Bilgem, MilSOFT, Meteksan Defense, SDT, MKEK, TAIS, Ares Shipyard, Aselsan, İşbir, Nurol Makina, Sarsılmaz, Roketsan, Gül Otomotiv, Havelsan, Yonca-Onuk, Aksa Run Flat, Turmaks, SİMBT, AVS, Kale Aero, Medyacity, STM, AN Grup, Ankaref, Kale Kalıp, Desan, Akademi Sancak, Ctech, TÜBİTAK-Sage and SBI Bilişim are the companies from Turkey that participated in the Fair. Turkey participated in the fair with 24 companies in 2016 and attended this year for the fourth time and with thirty three companies resulting from an increase in business connections with Qatar. 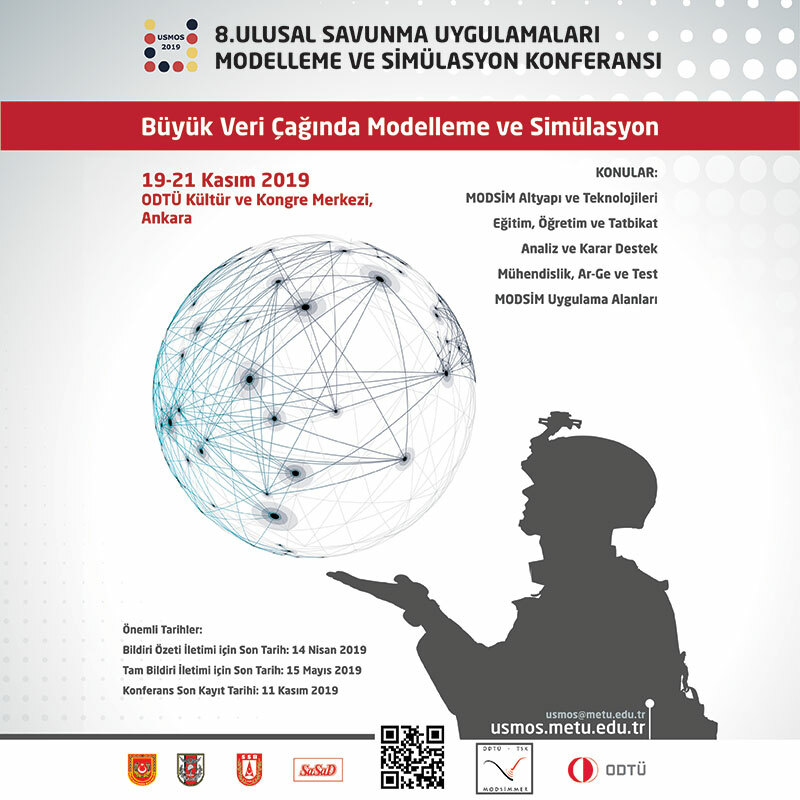 High level official delegations including the National Defense Minister Nurettin Canikli, Chief of General Staff General Hulusi Akar, Naval Forces Command Vice Admiral Adnan Özbal and Undersecretary for Defense Industries Prof. İsmail Demir participated in the Fair. The official delegation visited the Turkish stands on the first day of the fair and received information from the company representatives about their activities in the region. While the solid output of the increasing political and commercial business co-operation with Qatar were achieved at DIMDEX 2018 Fair, Turkish companies received an order of approximately $800 million from Qatar State. Anadolu Shipyard signed the final contract with the Qatari Emiri Navy for the supply of two training ships after a 3-year ongoing negotiation. Yonca-Onuk signed two separate contracts with Qatar Armed Forces for four Yonca-Onuk MRTP24/U Special Operations Crafts (SOC) and four Yonca-Onuk MRTP24/U Fast Missile Crafts (FAC). BMC signed a contract with the Qatar Armed Forces to procure 50 “Kirpi-2” MRAPs and 35 “Amazon” armored vehicles. Baykar Makina, which realized mini-UAV sales for the first time in Qatar in 2012, exported “Bayraktar TB2” UAV systems that operationally proved itself to Qatar this time. Within the scope of the contract, six “Bayraktar TB2” systems and three ground control stations will be procured to the Qatar Armed Forces by Baykar Makina. On the other hand, Nurol Makina that realized three hundred forty-two “Ejder Yalçın” 4x4 vehicle sales to Qatar in the past, realized the first sale of the NMS 4x4 armored vehicle, the test process of which is still continuing to Qatar. Ares Shipyard signed the 3rd contract with the Qatar Coast Guard Command at the DIMDEX Fair. On the second day of the DIMDEX Fair, the parties signed a new contract to supply three 48-meter Ares 150 Hercules Offshore Patrol Boats and six Ares 80 SAT Boats. In addition, a contract was signed with Piri Reis University during the fair for the establishment of an academy for the Qatari Emiri Navy and the training of its personnel. Within the scope of the contract, Piri Reis University will provide support and services for the establishment of the academy, efficiency of the academic and administrative personnel systems, creation and follow-up of the curricula. Aselsan will establish together with Barzan Holding, a subsidiary of the Qatar Defense Ministry, a JV company named BARQ for the production of some defense industry products, which also include technology transfer. In this context, it is anticipated that production activities will be realized mainly for remote controlled stabilized weapon systems and electro-optic systems for reconnaissance and surveillance. The production within the scope of the JV will be developed in line with the future needs of the Qatar Armed Forces.